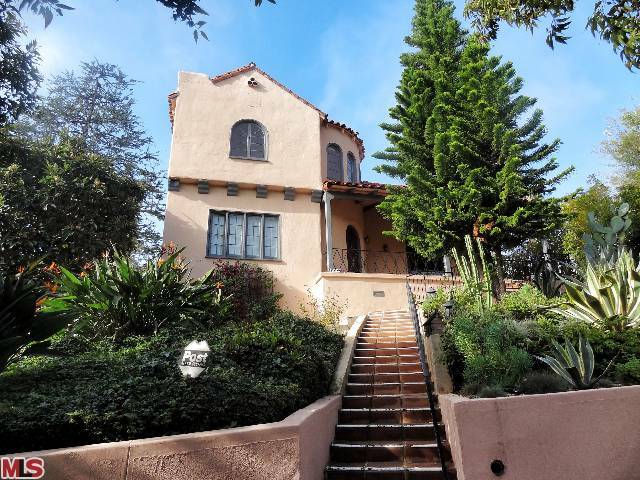 The Westwood home at 1443 Pandora Ave., LA CA 90024 lasted about a week on the market before accepting an offer. This 1927 Spanish home is situated on a corner lot raised up on a hill. Which means there are several stairs up to the front door and a multi-tiered yard. This home needed to be upgraded throughout and is considered a fixer. Just a few weeks after acceptance, the house closed on December 31st, 2012, for $1,270,000 |$601 $/sf|. According to the MLS, the home is a 3 bedroom / 2 bath, 2,113 sf of living space on a 9,416 sf lot.